Diane Leonard, GPC is one of only 18 GPA approved trainers. Writing grants for nonprofits is not just about the words you use, or the statistics you utilize. It's a complicated combination of factors to engage your grantmakers so that they say “Yes!” and you win the grant award for your organization. 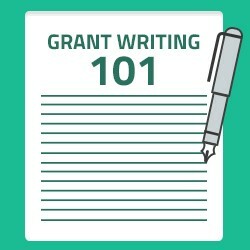 Participating in “Grant Writing For Nonprofits101: How to Write a Grant That Wins!” will provide you with the basic knowledge and understanding of what elements go into a successful grant application once you have identified an opportunity you want to apply for. Presenter, Diane H. Leonard, has secured more than $48.6 million in competitive grant awards in the past ten years. In this live, interactive webinar you will learn how to create compelling grant application elements that tell a story so YOU can secure grants for your organization too. We will focus on how to use the common key elements to create a competitive grant application that tells a story which engages the grant reviewer and clearly outlines how you will use the requested grant funds to achieve the stated goals and objectives. We will look at individual samples of previous applications and discuss how to strengthen them in order to be more competitive and more successful in securing grant awards. We will walk through the critical elements for cover letters/emails, need statements, project descriptions, work plans and logic models, and budget to help get you started on grant writing for your nonprofit that wins! Participating in “Grant Writing For Nonprofits 101: How to Write a Grant That Wins!” will give you a strong framework for your grant writing efforts to ensure that you are putting together highly competitive grant applications and ultimately achieving your desired grant funding success. 1. A proposal development tool to help create your nonprofit grant outline. 2. A Grant Application Checklist for Success to use before submitting all grant applications. 3. A free 30-minute follow-up consultation with Diane about your specific questions or concerns about writing a competitive nonprofit grant application that wins. Laura Teta, The Inn Between of Longmont, Inc.
"The webinar was really informational and I learned so much. The instructor was engaging and passionate about the topic. 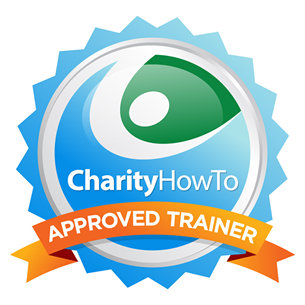 I will take another webinar from CharityHowTo. "Anyone who is applying for any kind of grant should attend this webinar. If You Register and Cannot Attend, You Will Get the Nonprofit Webinar Recording, Slides, and Bonus Materials.